E.J. McLeavey-Fisher is a New York City-based filmmaker. He began his career in the On-Air Promos department at MTV, directing commercial, short form, and long form content for the network. 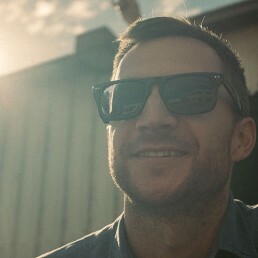 Since then, his documentary work, such as the short film Comic Book Heaven and The Dogist, has received multiple Vimeo Staff Picks, was screened at film festivals around the world including AFI Docs, the Edinburgh Film Festival, DOC NYC and the Big Sky Documentary Film Festival and has been featured on The Atlantic, Slate, and Vice. In addition to his personal work E.J. has created compelling documentary content for a wide range of brands including Samsung, Coca-Cola, Comcast, Microsoft, Converse, Kellogg’s and Lincoln.